The difficulties connected with implementation of Me 262 into operational service especially the lack of experienced fighters resulted in a rare process of retraining pilots from disbanded Kampfgeschwaders to jet fighters. The end of the process – combat sorties of retrained pilots with Me 262s – is described in the title “Messerschmitt Me 262s of KG & KG(J) Units”. This study covers historical background of Kampfgeshwaders transfer into Kampfgeschwader(J) units with focus on KG 6 and KG(J) 6 and its training in the area of Protektorat Böhmen und Mähren. 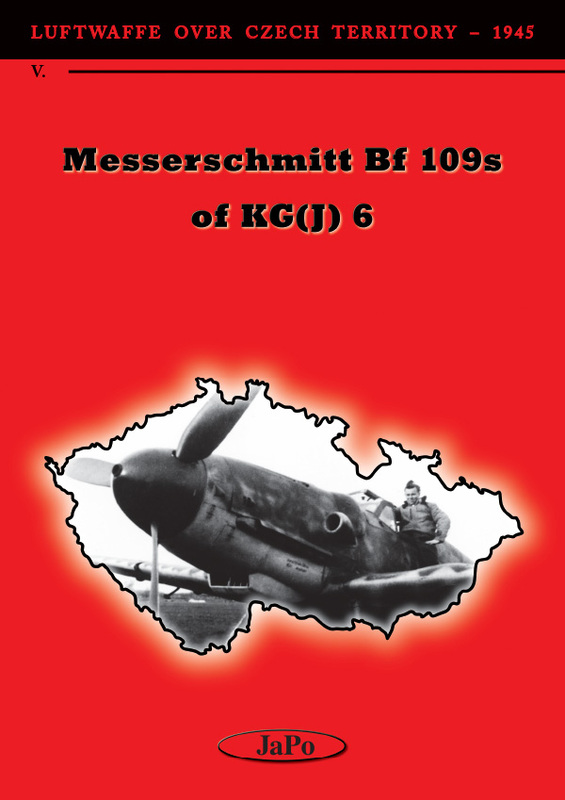 The historical text part is followed by detailed analysis of 16 Bf 106G-6, G-10 and K-4 used by the unit.